A small studio in London. An impression of great disorder mixes with the intimate conviction that you are in an extraordinary place. Ron Mueck, a secretive artist, rarely welcomes visitors, and a meeting with him leaves an impression. His reserve cannot for long hide a very sensitive nature. At regular intervals over a period of two years, Gautier Deblonde filmed the artist as he created three works destined for his solo exhibition at the Cartier Foundation for Contemporary Art. 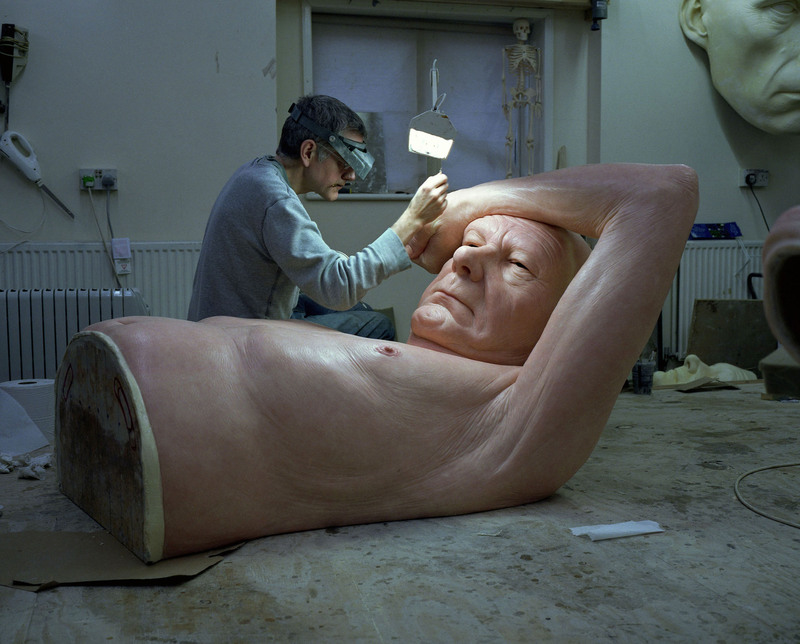 Seeing Ron Mueck at work intrigues, impresses, surprises. His sculptures, and there are but a few of them, depict men and women whose expressions are familiar to us. Expressions of everyday life: a troubling realism at the service of a profoundly moving art. It is not a question of learning the techniques and knowhow of the artist, but rather of discovering why his creations meet with such popular success in the world’s most prestigious museums. The film invites us to understand what his works say to us, and to share the sensations we experience when presented with such an original take on the human condition.